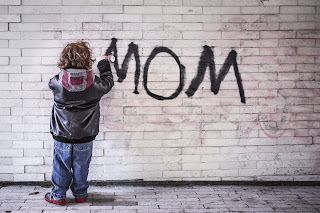 I am writing this post for the prompt "10 best Mother's day gifts for moms' and linking this to #MondayMommyMomments hosted by Deepa and Amrita. I don't celebrate Mother's day as I believe, we should love and respect our mom always and there need not be a specific day to express our gratitude towards them. My respect towards my mother doubled after I became a mother myself. Going through labor, many sleepless nights to take care of baby, cooking, feeding and taking care of family with self-less-ness, keeping the family as priority over her friends/ work/her hobbies, Wishing and blessing children for their happy life even after their marriage, supporting the children during childbirth, giving strength to kids during tough times, striving hard to help children and grandchildren even though nearing the old age - how can we even repay for whatever she has done to us? 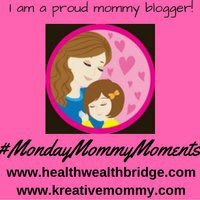 While I am writing this post, I feel very bad about myself being away from my mother and being not able to visit or help her. 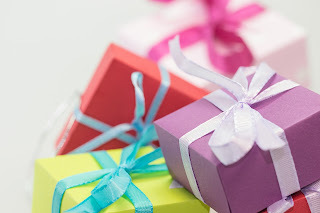 Here is a list of gifts that I suggest which are more practical for any mom. Do you know what is more precious in this world? It's TIME. If you love someone, you give your time to that person. Why don't you give her a surprise visit if you are not staying with your mom and chitchat while having a meal or browse your family albums and reminisce good old days? Whether it is window shopping or serious shopping, take your mom and have fun shopping. When was the last time you went on a shopping spree with your mom? Plan a meal with mom in a fancy restaurant and talk freely and heartily enjoying the lunch or dinner. What say? Do you want to give another twist to this treat? Arrange a dinner date to your mom and dad as a gift. cool? Take her for a spa treatment/ body massage/ sauna bath. Even a relaxing pedicure will relief her. Does your mom love books/ gardening/ enjoy painting? Think of a personal gift to make her enjoy her favorite hobby. Nothing can beat a personalized handmade card. Try your painting skills and surprise her along with fresh flowers. When was the last time you watched a movie together munching popcorn? Arrange a movie night at home or go to a movie theater together. Search for old photos, print them as collage and frame it. Surprise her with this nostalgic gift. Last, but not the least. Think about some lovely gift options like a gift card, a watch, a saree/ dress or some fancy jewelry. Make the gift as personal as possible. How do you like these ideas? Do let me know in the comments. I loved your list Ramya. I agree Time is the most important thing and most precious gifts for our moms. Thanks a lot for linking up with #MMM. Can u pls follow other rules to participate in the contest too? nice gift ideas Mahathy, The gift is what I am thinking of, My mom lives far away from me so a surprise gift would be great for her. This is a superb list and i specially like the idea of No Cooking and so agree with Time point for moms. Time is the most precious gift for our moms. Thanks Deepa. Enjoyed participating in the contest. Glad that you agree with me Meenakshi. Nice gifts:) Moms are precious.